This treatment utilizes deep cleansing, mild exfoliation and includes a treatment mask which combines a soothing and healing gel enzyme masque with a seaweed concentrate. Detoxifying, includes Bio-complex serum for hydration, a refreshing toning mist and complete with a moisturizer to protect from the elements. 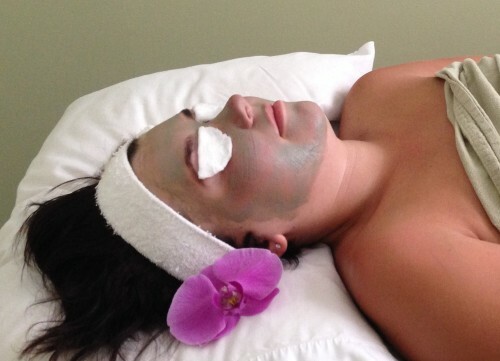 A specialized facial developed to renew skin's vibrancy using products from the seaweed and lavender series. The facial helps to detoxify & purify the skin and re-balance oil/water levels while providing needed moisture to dry areas. Target the signs of age with the organic acai berry. Omega fatty acids and olive oil restore moisture levels and help to rebalance skin tone and texture. Rehydrate sensitive skin with this soothing, nourishing facial incorporating the healing aspects of lavender soy and seaweed.